• LT or K1 L298/P326, etc. • • L or K1a M20/PF5570, etc. • • T or K1b M184/Page34/USP9Y+3178, etc. • K2 M526/PF5979 -This was previously classified as K(xLT), etc. • • • NO1 or K2a1 M214/Page39 etc. • • • • N or K2a1a M231/Page91 etc. • • • • O or K2a1b M175 etc. • • • • M or K2b1b P256, etc. • • • P or K2b2 P295/PF5866/S8, etc. The Karafet et al (2008) paper made a major change to Haplogroup K. The subgroups formerly known as K1 and K7 was moved to M2 and M3, respectively, and K2 and K5 became Haplogroups S and T, respectively. The 50f2(C) deletion in the AZFc region of the human Y chromosome has been observed in several different haplogroups and is not a unique event polymorphism. It is notable, however, that it has been detected at relatively high levels in subgroups of K in Melanesia - K* (21%), and K3 (14%). P299 appeared in earlier K trees, but was omitted in 2014 Karafet study so its placement is uncertain. The chromosome location for M-P256 shown in Karafet (2008) seems off by one chromosome position. All M samples from next-generation sequencing show the same mutation at adjacent chromosome position 8685231. So this is the position tentatively listed in the ISOGG index. Listed 31 August 2016. 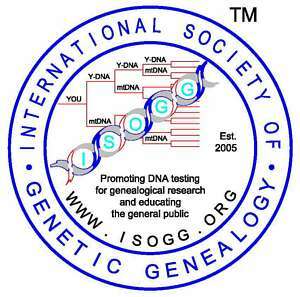 Y-DNA haplogroup K is an old lineage established approximately 40,000 thousand years ago whose origins were probably in southwestern Asia. K's structure is interwoven with other haplogroups downstream (refer to the main tree at Y-DNA Haplogroup Tree). The subclades restricted to K itself are found at low frequencies in various parts of Africa, Eurasia, Australia and the South Pacific. Alonso et al, The Place of the Basques in the European Y-chromosome Diversity Landscape. European Journal of Human Genetics, 13:1293-1302, 2005. Bergstrom, et al, Deep Roots for Aboriginal Australian Y Chromosomes. (pdf) Current Biology, 26:809-813, (2016). Delfin et al, The Y Chromosome Landscape of the Philippines: Extensive Heterogeneity and Varying Genetic Affinities of Negrito and Non-Negrito Groups. (abstract) European Journal of Human Genetics, 19:224-30, 2011. Eaaswarkhanth et al, Traces of Sub-Saharan and Middle Eastern Lineages in Indian Muslim Populations. European Journal of Human Genetics, 18, 354-363, 2010. Kayser et al, The Impact of the Austronesian Expansion: Evidence from mtDNa and Y Chromosome Diversity in the Admiralty Islands of Melanesia. Molecular Biology Evolution, 25(7):1362-1374, 2008.